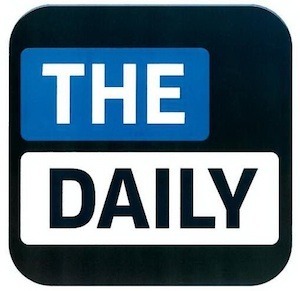 News Corp. has brought its iPad newspaper app The Daily to the UK “quietly,” the Guardian reports. It includes stories on Republican party politics, a fire in Minnesota and US house repossessions, with a two-week free trial sponsored by mobile operator Verizon Wireless, which does not have a consumer-facing business in the UK. The adverts are also from the US edition, including Fox TV series Terra Nova and the Droid 4G smartphone. At the close of the most recent quarter, The Daily had generated a $10M loss for News Corp.